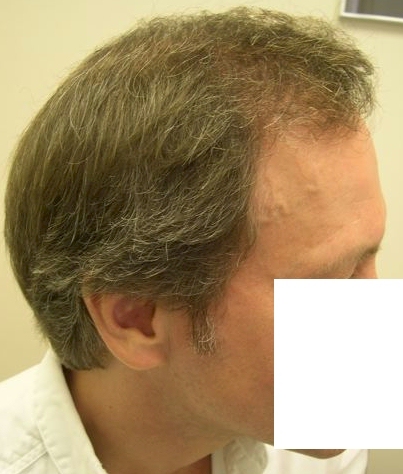 Patient had 7600 grafts, Strip. 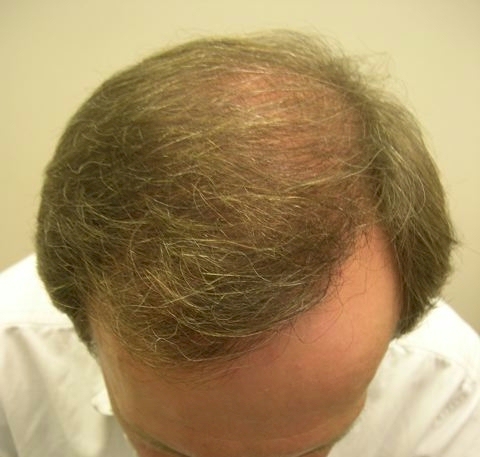 FRONTAL and MID-SCALP restoration. I would guess that is about 230cm2 which would give an average of about 30-33 fue/cm2. The front loading of about 40 probably leaves about 25 fue/cm2 at the back. If that s all correct then it looks as good as it gets. It would be good to see the donor and how many sessions was this. It is good to see at long long last Dr. Jones has given a better and representative set of pics. It’s pretty good, still a bit thin in the crown though. 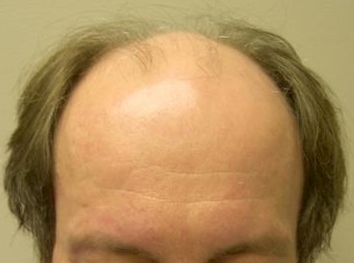 This patient was completely BALD on top. This is an honest representation given the extent of his baldness and the # of grafts used. 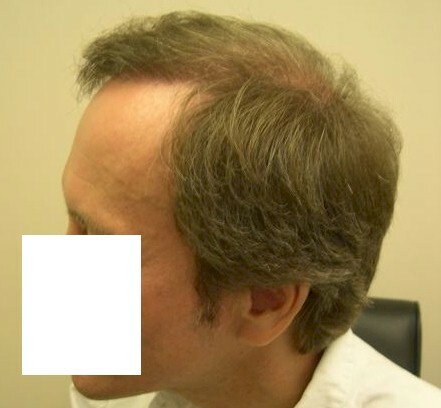 As stated in the original post, this case is about FRONTAL and MID-SCALP restoration. 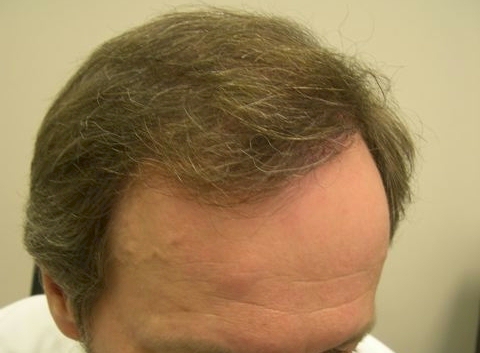 » the original post, this case is about FRONTAL and MID-SCALP restoration. 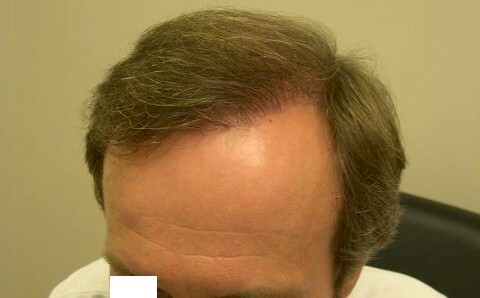 If you look at the pics you can see that he has only really had the frontal third restored. The top AND crown are both just fuzzy. This looks more like a 3-4000 graft job than 8000. But at the end of the day, does he look better than before? Yes. Does it look natural? Yes. So the patient should be pleased. But I really don’t think this looks like 8000 grafts. He probably only last 20,000 follicular units to get to where he was. And half density (ie 10000) still looks like “no MPB hair” according to common wisdom. So with 8000 he should look okay but with a thinning crown. Not like this - ie fuzzy coverage and a restored frontal third. 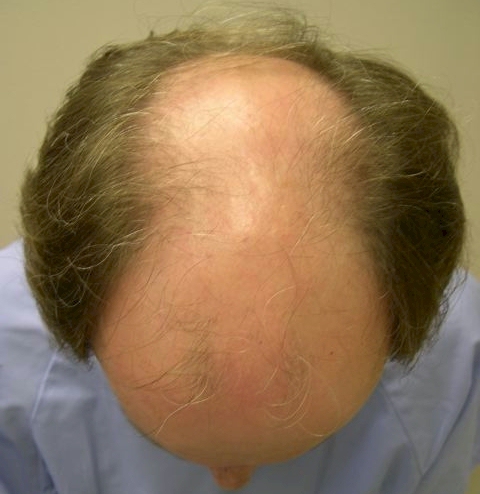 You are not being real if you think that 8000 grafts can cover a slick bald from front to back. No doctor in the world can do that. I had 2000 grafts and it barely covered my hair line. » and it barely covered my hair line. » » and it barely covered my hair line. He is completely bald in the frontal area and on top. They probably used a large # of “singles” to reconstruct the frontal hairline. This is fantastic yield for someone who is completely bald on top. » » » and it barely covered my hair line. » fantastic yield for someone who is completely bald on top. Is it 80,000 hairs or 80,000 follicles? 1 follicle can have several hairs, am I right ? I am always confused how many we were born with. » am I right ? I am always confused how many we were born with. This was taken from Wikipedia. This is consistent with what I have seen in the past.